There are so many scary things that glow! Swamp monsters, Ghosts, anything radioactive and typically they're always green! We aren't quite scientific enough to know why green is the color that glows all the time but what we do know is that it looks really creepy and awesome at the same time. Sometimes we wish we could glow but then we remember that typically you can't control (We wouldn't want to glow all the time) and radioactive stuff can really mess with your bodies. We went for the next best thing and you just might need it too. 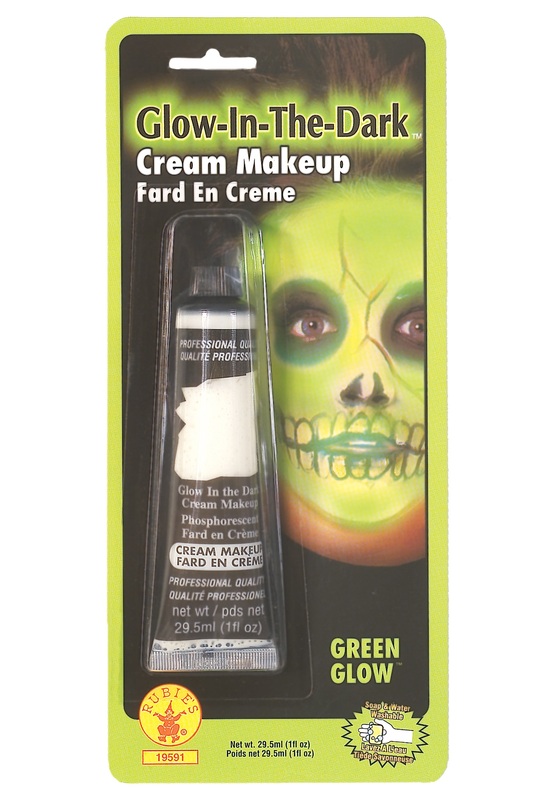 This Glow in the Dark Cream Makeup is fantastic for finishing up that spooky Halloween makeup. You could use any black makeup to set off the perfect contrast for a gaunt or skeletal look. We know you'll be scaring plenty of people when they see this makeup in the dark!